Introducing an amazing ball for large breed dogs! 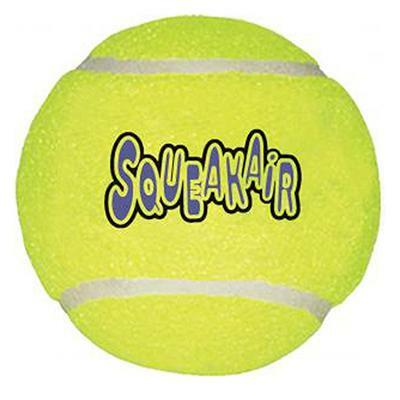 KONG Squeakers large tennis ball dog toy is an awesome tennis ball for aggressive chewers and dogs with big jaws. Special nonabrasive tennis ball fabric will not wear down a dogs teeth. 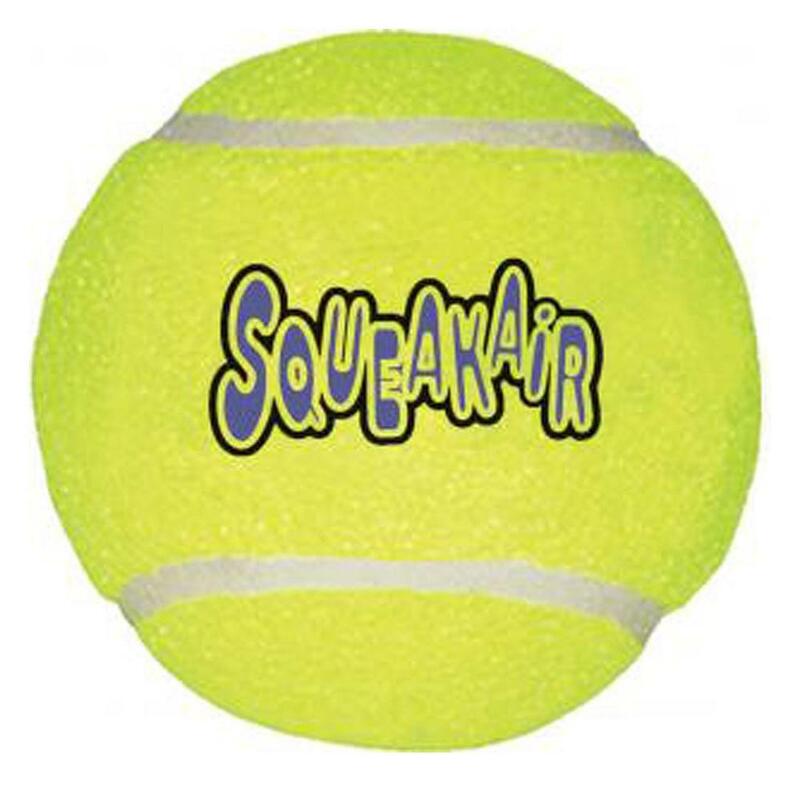 All squeaker units are recessed in rubber and covered in tennis ball fabric for safety. The perfect ball for a game of catch with your best canine friend! Price is for 1 ball. Measures approximately 3 3/8 W & L x 3 1/4 H.